This time next year I will be in Lake Placid, NY going through registration, race expo and pre-race rituals, getting ready to tackle my first Ironman. 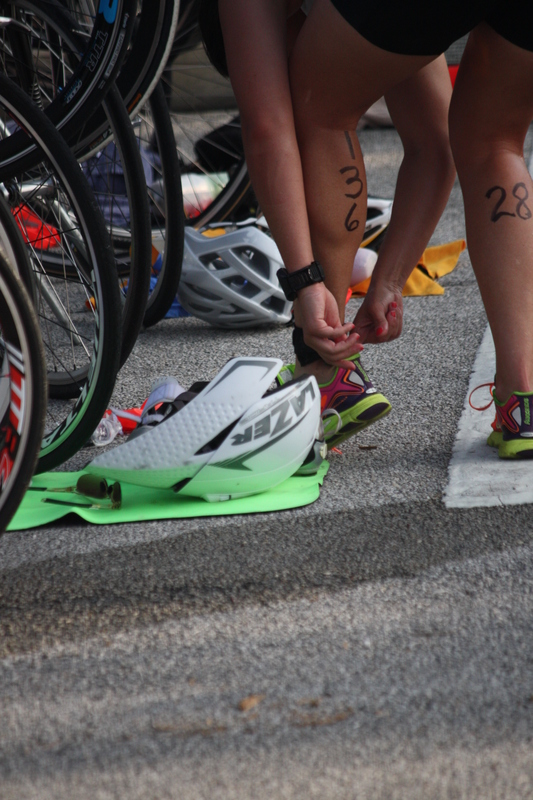 The physical and mental preparations will be behind me and all that will be left to do is ride the course, swim several times in Mirror Lake and drop a ridiculous amount of money on Ironman-branded race gear. I will need to be comfortable knowing that I have put in the time, effort and preparation needed to carry me 140.6 miles in a day by my own volition. My family will be there as well as new friends I’ll make along the way whether they are “virtual” training partners via the blog-o-sphere or Facebook or the other 99 participants who will fundraise throughout this year for the Multiple Myeloma Foundation. This week will be one I’ll never forget and one that I aim to savor and take in while controlling the gigantic butterflies that will inevitably be present the moment we touch down on the tarmac. The preparation for this race has already started. 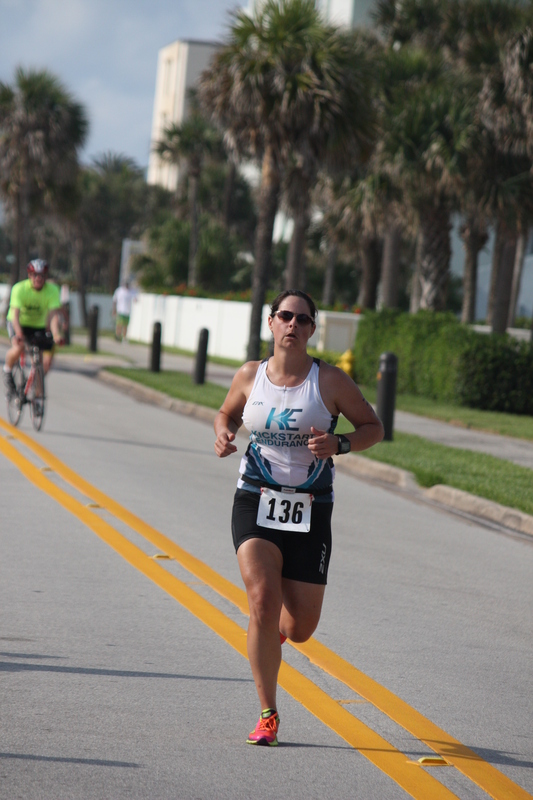 Mentally by doing other race distances and learning about training blocks and pushing through times when the body resists. Physically by eating better, keeping the workouts up, and taking care physical care of myself. What makes this race completely different than any other I have ever toed the line at before is the fact that I’ll have prepared for this singular day for more than a year in advance and will do the race in memory of my grandfather. Lake Placid signifies several things. 1. New York is where my mom, uncle and aunt grew up. While I won’t go in-depth, it means I get to race in a state that connects us to our family. 2. Lake Placid is home to the 1980 Winter Olympics. The Olympics represent the epitome of what you can achieve as an athlete so being as close as possible to this history and competing in the same facilities is exciting. 3. Ironman Lake Placid is one of the most iconic and storied Ironman races of all time. 4. By race day, I will have raised at least $5,000 for the Multiple Myeloma Foundation while educating others about blood cancer along the way. I will write a separate post soon about fundraising and how you can get involved. I will have a separate page for fundraising so please check back! These bullet points don’t even touch the hours, miles and drops of sweat (and tears) that will be experienced the next 365+ days. But more than anything this race will allow me to learn new things about myself, new reserves of mental will that I have not tapped into yet, new skills that will develop and hidden muscles that will inevitably be sore that I never knew about. 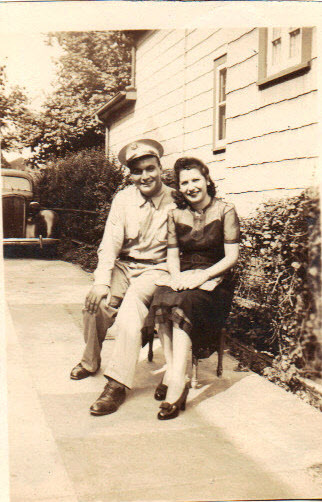 While pushing myself and training throughout the year, I will be doing it all in memory of my grandfather, William DeCaprio and grandmother, Margaret DeCaprio. Grandpa Bill is a man who I was never able to meet yet feel connected to. By this point in reading this post, my mom will have tears but its ok mom, this will be a great year for us as we will celebrate William and Margaret and their lives even though we were not able to know them like we should have been able to. Even writing this I have tears as it hurts to know that life can be so unfair but it also serves to remind us that we are stronger than we know and that we can celebrate our loved ones in a way that helps to ease the pain. By doing this race, I hope to do just that, ease the pain. I have been truly fortunate to grow up where I have, had the experiences I have had and most importantly, have the family I do have, whether near or far. 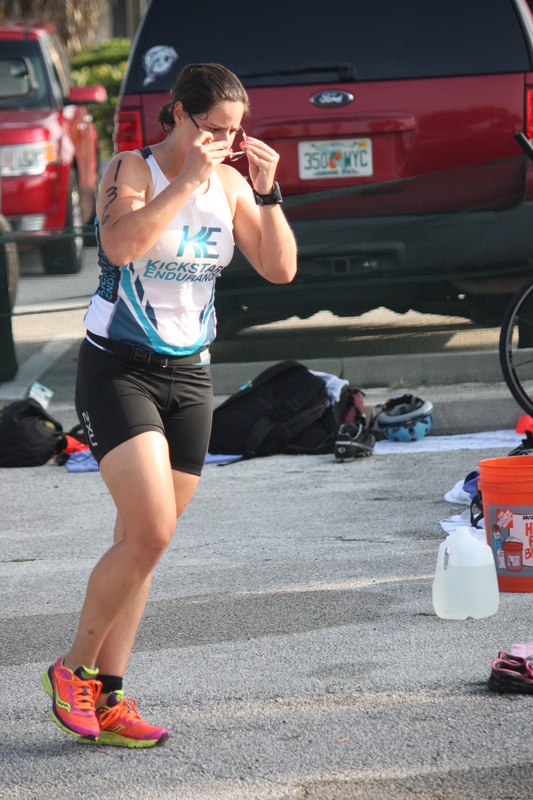 I do this race for every single one of them and for myself, so when I cross that finish line and hear announcer Mike Reilly say, “Jaclyn Garris, you are an Ironman” it will not be just me but everyone in my family. This is a truly personal post but I thank you for reading it and learning why I am taking this on for the coming year. I know I will need support, even when I don’t ask for it or don’t think I need it at that particular moment, so thank you in advance for your support, it truly is appreciated. 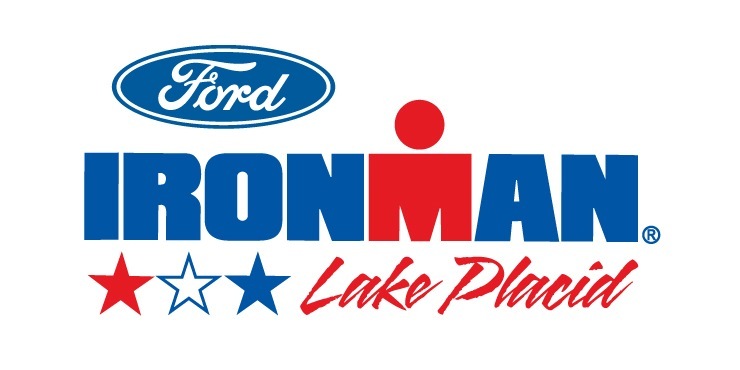 Below is a great video that brings Ironman Lake Placid “Full Circle”. It is lengthy but please spare 20 minutes to watch the video as it is very inspirational and touching. Race Day: Sunday, July 27, 2014-366 days til race day! 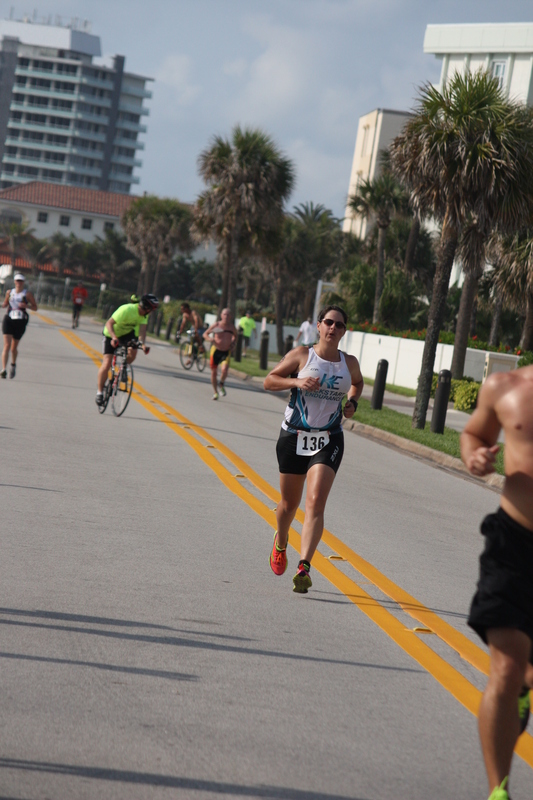 Heading into this local, Sunday sprint triathlon, I was exhausted. There is just no other word to describe it, well maybe dog tired would be a good one also. I had been going none stop for several weeks; between training, business at the store and life in general. I had done three road trips in a span of 7 days plus lots of saddle testing (more on that later). Is she a beauty! I need a name for her! 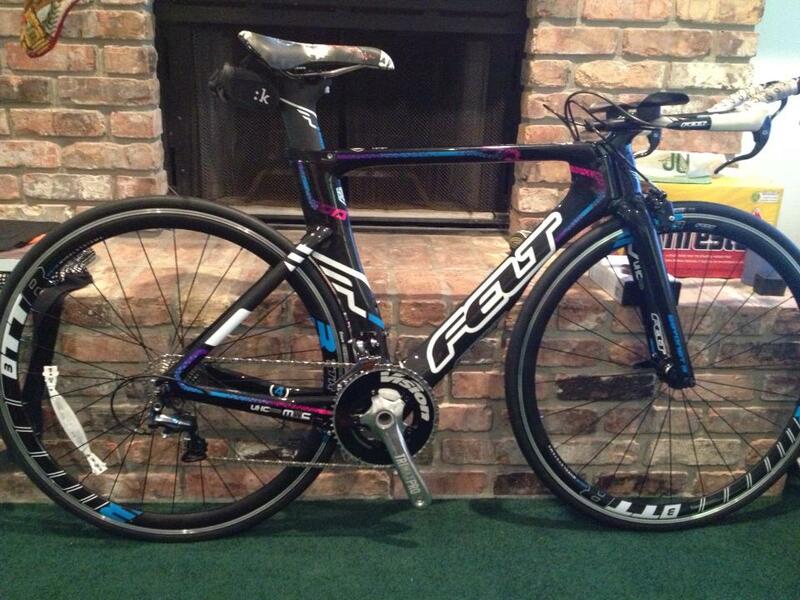 She’s a 2011 Felt DA4 Women’s bike. Anyways, I did a light workout Saturday to keep things loose and to get on the new steed and test out the new aero helmet. Yup, that happened too! Sunday morning came quickly with my alarm going off at 5:45 am. Actually somewhat late compared to other tris I’ve done! I got things organized the night before but of course there were still bottles to be filled and the dog to be walked. I headed out to Jaycee Beach, found a spot along the ocean and headed towards transition. It was nice to see so many people I knew at a race, sometimes I know one or two people at a race sometimes a handful but this being a local race, it was fun to see so many friendly faces. I got transition set up next to my friend Will. We had been giving each other a friendly ribbing on Facebook prior to this race so it was cool to be set up next to each other. We discussed the waves, checked on our transition set up and chatted with others. As I headed out of transition, I realized, thankfully, that my car key was still in my shorts pocket. That would have been a pain to deal with after the race! Slowly people started to head towards the ocean start. 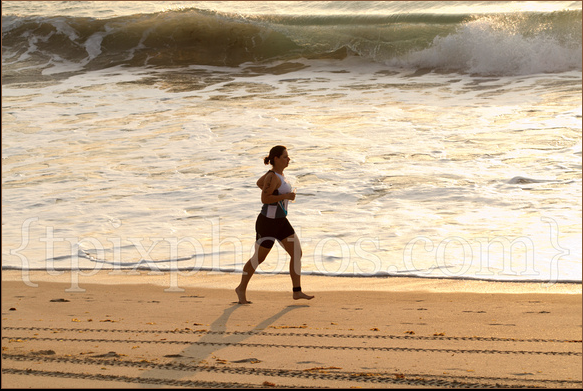 I walked on the beach and got a light jog in to warm up. Eventually my dad showed up so I caught up with him prior to heading back to the beach to listen to the announcements and get things underway. 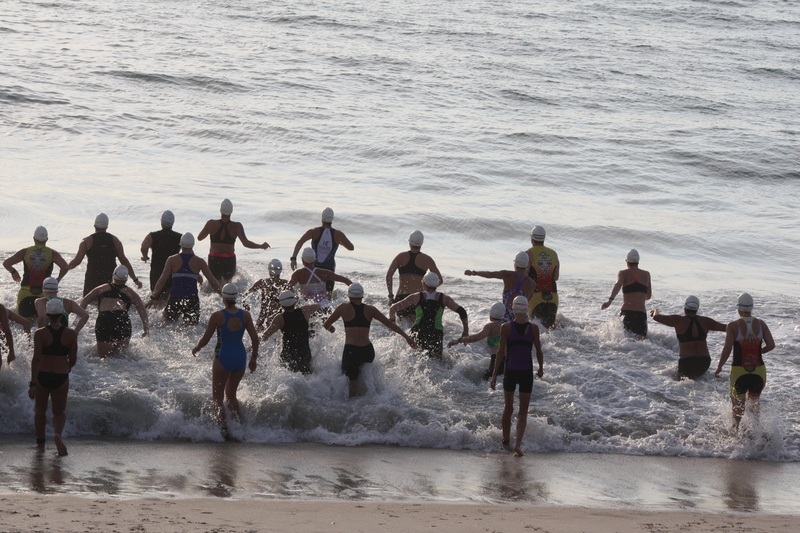 The men started first and the women and relay teams followed three minutes later. The swim was supposed to be 500m but ended up being 625m. 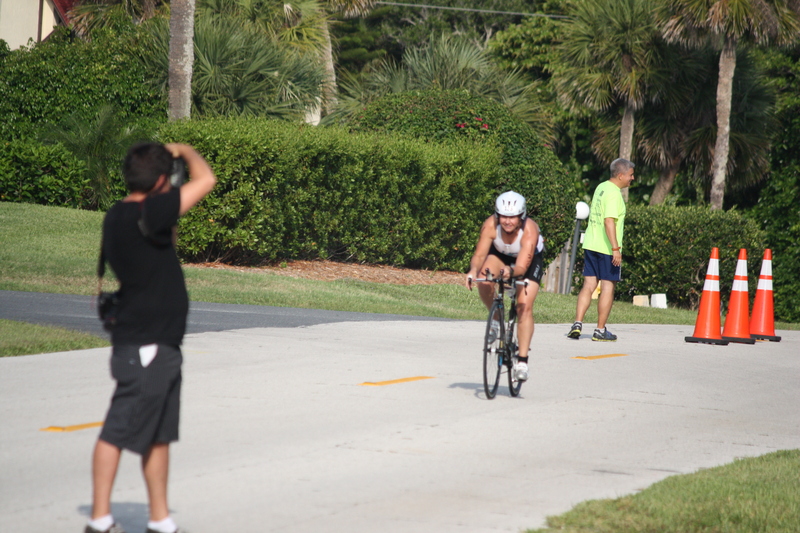 Got through T1 quickly (1:54) and hopped on the bike. Right away I knew my legs just didn’t have any gusto in them. New word, you like that?! I tried to find a gear I felt comfortable in but allowed me to keep some speed going but it was proving difficult. About 3 miles in, I reached for my drink bottle and take a drink but with all of the condensation, it slipped from my grasp and hit the grass to my right hard. I turned to see it fall and cus under my breath. Had this been a larger race with officials on the course, I would have gone back to pick it up since that can be a penalty. I did go back post race to get it, it was my St. Anthony’s bottle after all! The rest of the bike was uneventful and slower than I would have liked for the machine’s debut race but I knew my tank was pretty empty. I did average 18.5 mpg which is better than I have had on my road bike ever so I know there is even more speed and power to come! 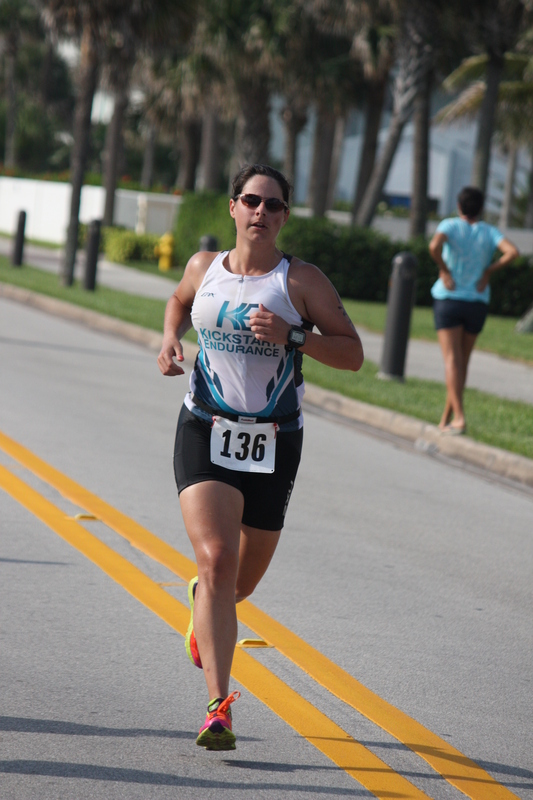 I’m glad I was able to experience a race with a tired body. Despite not having the adrenaline pumping and legs firing, I had a good time and enjoyed the morning. I race again this coming Sunday in Fort Pierce for the first of four races with the Patriot 9.11 series. We are a bronze sponsor for the series so it’ll be fun to see how this comes together. So with regards to the saddle issue, I tried the one the bike came with and it didn’t work for me at all. I then switched back to my old Cobb saddle for the race and that was better. My bike fitter put another one on Monday but I had a feeling it was going to work for me. It was just too narrow. I gave it a shot anyways Monday evening after work and made it about 5 minutes in aero before I literally was grunting out loud trying to get comfortable. I have never ever done this before and kept at it but as my bike riding started to resemble a tennis match Monica Seles was playing in, I had to throw in the towel and ride up right back to my car. I am now focusing on my run and swim. I had a good run yesterday of 8 miles despite having stomach trouble about 50 minutes in. I tried to follow it up this morning with another 60 minute run but my stomach just hadn’t settled yet so it was a quick run and onto the swim where I made it a whopping 500 meters of feeling as if I was swimming backwards and was about to sink despite moving my legs and arms. Some days you just don’t have it and have to accept it. I’m doing a rest day tomorrow and then will get one more regular workout in on Friday before a light one Saturday and then Sunday’s race. 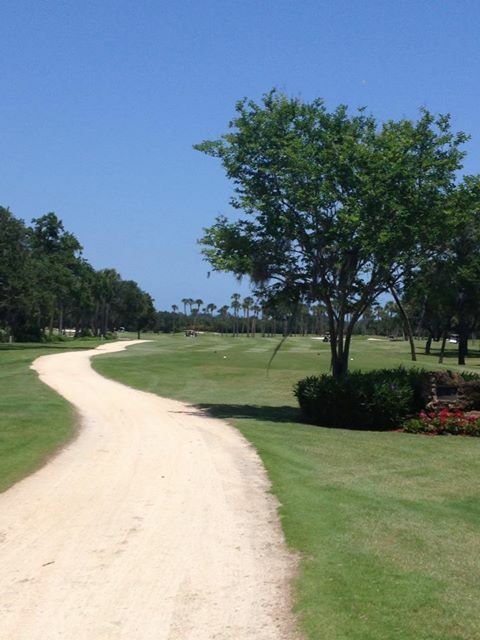 Also, I’ve learned my lesson, no golf the day before a triathlon, the sun and heat just take it right out of you!